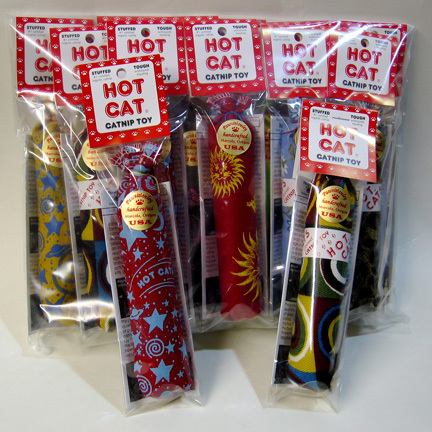 Home / Catnip Toys / Deluxe Hot Cat, 4 links – 17 in. 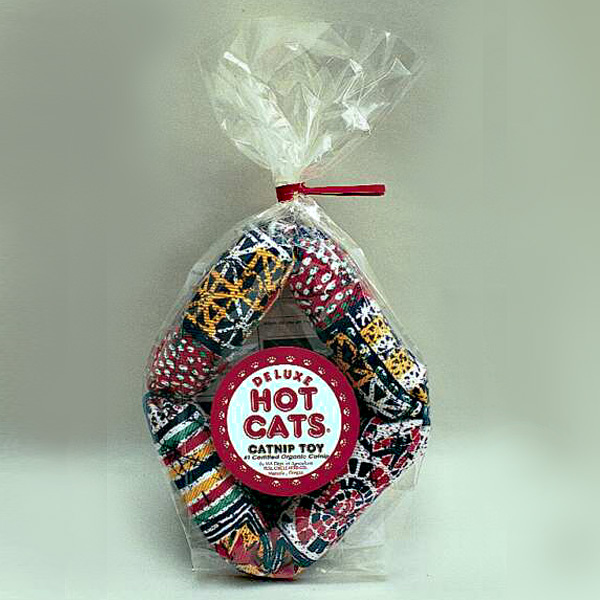 Deluxe Hot Cat, 4 links – 17 in. This Deluxe Hot Cat 4 Link is is stuffed with a lavish 1.5 cups of certified organic catnip, and then carefully sewn of sturdy denim twill in a bright assortment of colors and prints. You’ll be amazed how this toy stands up to wild kitty mauling! Our catnip has always been #1 grade catnip herb, certified organically grown by Washington state, and our packaging is eco-friendly biodegradable cellophane. 3 reviews for Deluxe Hot Cat, 4 links – 17 in. I’ve bought tons of these. Best catnip toy ever ever!! Just the smell when you open the package. Your cat will go crazy.AWESOME!! Really is the BEST catnip toy ever. My cats beat the heck out of them and they never rip or tear. Wonderful! 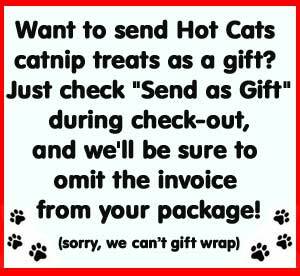 The cats will rip the package open to get the nip, though!